Letter says no basis to withhold approval, but new licensing rules will applyFederal Health Minister Leona Aglukkaq has written her provincial and territorial counterparts to say she won't interfere in the regulatory approval process for a generic form of OxyContin. Health Canada is adding new licensing rules to attempt to prevent abuse of the powerful painkiller. Manufacturers and/or distributors of the drug will have to report spikes in sales and changes in distribution patterns, in addition to the department’s current requirements to report loss and theft. “It should not be up to politicians to determine which drugs should be approved for medical use,” she wrote. "While intentions may be noble in this instance, what stops future politicians from caving in to public pressure and allowing unproven, unsafe drugs on the market once political pressure starts to mount?" "It's a recipe for disaster for politicians to get involved in approving drugs," the minister told reporters at a press conference in Ottawa on Monday morning. "If we start with OxyContin, what's next?" Aglukkaq notes that there is no basis in the Food and Drug Act to withhold approval when a drug is considered safe for its recommended use based on its scientific review. "The law does not permit approval to be withheld on the basis of misuse," she wrote.Canadian government approves OxyContin generic, provoking outcry from tribes and provincesCanada’s federal government allowed the approval process to proceed Monday for the generic form of the highly-addictive painkiller OxyContin, a move that set off a quick outcry from the country’s provinces and aboriginal communities. Health Minister Leona Aglukkaq rejected a plea from Canada’s provinces, which unanimously requested a delay of approval until regulators could examine the abuse of oxycodone. Ontario asked for a complete ban on the drug, which has caused widespread addictions in Canada’s rural and tribal communities. 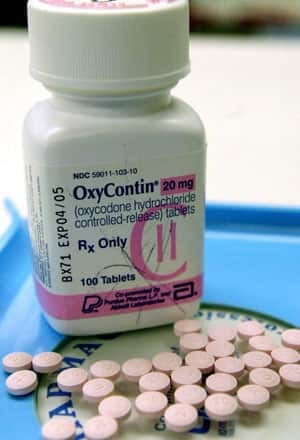 Her refusal to get involved in the process opens the way for generic oxycodone to win approval in Canada after the patent for the brand-name OxyContin expires on Nov. 25. “I am profoundly disappointed in minister Aglukkaq’s decision to ignore the threat to public safety posed by generic OxyContin and to allow it to enter the Canadian market,” Ontario Health Minister Deb Matthews said in a statement. Matthews had warned that the “streets would be flooded” with the generic form of the drug if it is approved.Comment: As you may recall, Leona Aglukkaq is a conservative Inuk minister who's been involved in several controversies. Once again, she just happens to take a position that's anti-Native. What an odd coincidence that she never takes a pro-Native position. Anyway, I'm not sure prohibition is the right answer in this case, or any case. But I'm not sure the government should approve the generic drug without planning for its harm to public safety. A middle position is probably best. For more on Leona Aglukkaq, see Aglukkaq Blames Activists for Food Insecurity and Inuk Minister Cuts Aboriginal Services. It's important to remember that druggies seeking oxycontin will just go to another doctor if one doctor says no. So it's not a matter of medical use per se. Though I will say I don't trust politicians in this regard. Back in the 80s, American politicans formed a bureaucracy to handle claims against vaccine manufacturers, to protect the manufacturers. The claims themselves were total nonsense, but just making a claim was enough to get paid. They weren't there to establish the veracity of the claim. And the lulz, as we call it now, ensued, until the late 90s, when they finally started asking about the veracity of it. (It helped that the plaintiffs hired a guy who was busy writing his brother's will. His late brother's will.) Soon, antivaccine claims deflated (because they had none of this "proof" business), until they were brought back, this time in the court of public opinion (because the media care even less about proof than the vaccine courts did). Also, the generic name is oxycodone.